We respond to the different requirements in the laser pipe and profile cutting sector and we can include pipe bending operations. 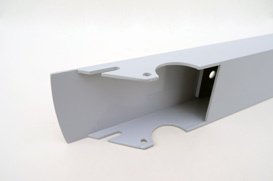 Rectangular, round, square or more complex sections, thin/thick-walled. 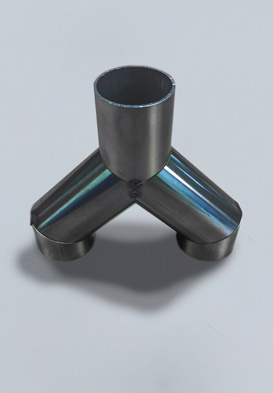 External pipe diameter from 15 mm to 252 mm, length up to 6500 mm. 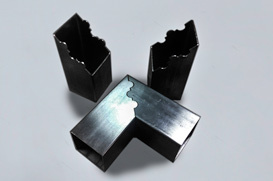 With square or rectangular pipes, the same dimensions are applied to the diagonal measurement of the pipe. 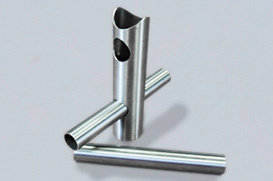 Iron (maximum thickness: 8 mm), aluminium (maximum thickness: 5 mm) and stainless steel (maximum thickness: 6 mm). 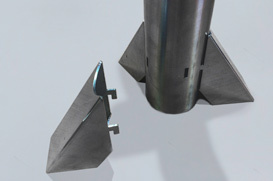 Unlike standard pipe cutting (fixed-head laser and rotating axis) this process features a mobile laser head with 5 axes; here the pipe is fixed in place. This technique allows us to make very special cuts. 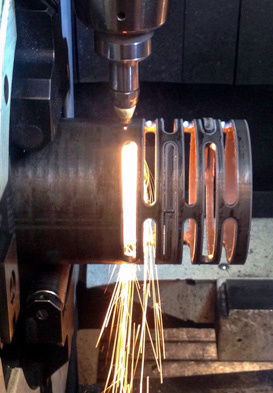 Generally speaking, laser pipe cutting technology allows us to provide new solutions in the design and production of parts. It also improves profitability: a single manufacturing process allows to replace (or simplify) traditional methods of production. 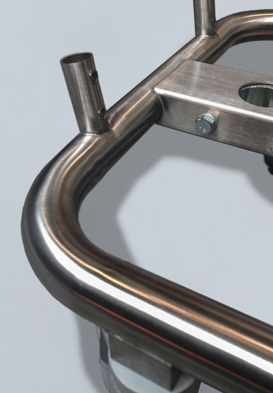 We enter into projects with customers to find solutions and encounter technical advantages. This is our “active philosophy” in research in Design to Cost.